LARME032 On Sale: Includes Yui Kanno & Mai Shiraishi Revival and more! The 32nd edition of cute and girly fashion magazine LARME was released on January 17th. Let’s take a look at the latest news. Risa Nakamura Graces the First Front Cover of the Year in LARME 032! The latest edition of LARME showcases a comeback from the former popular feature “YUI MAI TWINS” after 2 years, and Yoda Yuki, who recently released her solo photo album to gracious popularity, will appear for the first time in third run of Nogizaka46’s feature “What girls like.” There’s plenty more where that came from too in 2018’s first edition of LARME. Those two popular twins are making a comeback – and it’s already been two years. 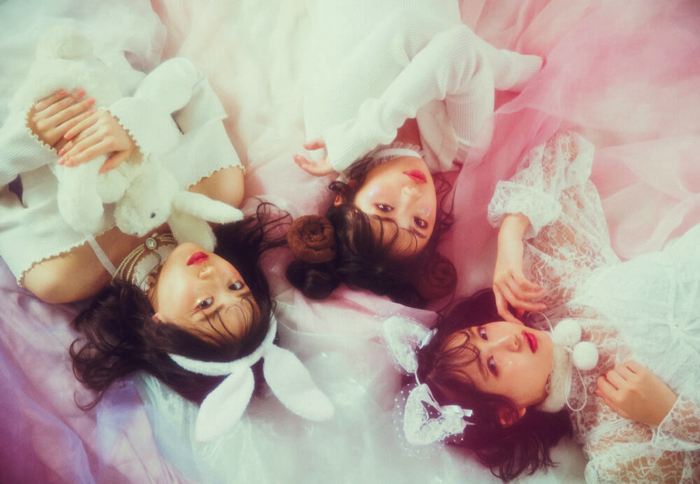 They will introduce colour-styling in the theme of girl favourite ‘sweet and girly.’ In addition, the twins look back over 2017 and talk about their hopes for 2018. Don’t miss out on them charmingly tell their innocent and colourful story. This special fashion feature combines everything a girl loves in that sweet, LARME-esque style, like flowers and candy. There’s also a girls’ talk with Reno Nakamura, Mizuki Yamashita, and Yoda Yuki too, so be sure to check it out! Popular Millennial Generation Model Mei Tanaka Makes Her LARME Debut! Mei Tanaka, who receives overwhelming love and support from the teens of today, will appear in the fashion feature “BALANCE UP STYLE” where she will showcase how to deal with tackling common problems when it comes to co-ordinating outfits, such as how to create a balance between ‘sweet & hot’ to look stylish. There’s lots of other awesome info in new LARME edition too, like make-up tutorials, appearances from spectacular models, and much more! Be sure to pick up a copy if you can. LARME celebrates 5th anniversary with new commemorative issue and with giant billboard poster at Harajuku Station! Chisato “Chii Popo” Yoshiki Makes Front Cover Debut in LARME Magazine! Keyakizaka46’s Rika Watanabe Chosen as Regular Model for LARME Magazine! Cover depicting Mai Shiraishi is an earmark♡ “LARME 028” which introduces LARME-styled summer styles will be available from the 17th of May. Yurina Hirate and Rika Watanabe of female idol group Keyakizaka46 to make debut appearance in Larme Magazine!